Before he died, Michael Jackson wanted to make one final comeback to prove he could do it. In 2007, he went in the studio with Kanye West and Akon. The plan was to release another album, but his issues with Sony stopped that from happening. Early in 2009, he planned another comeback, but he died trying to complete it. Now, one year after his death, Sony is releasing the material the late pop star was working on. Hip hop star, 50 Cent had said Jackson wanted to work with him before he died. Sadly, he never had the chance to record with him. While they never recorded together, some of 50's vocals will be added to Jackson's unfinished track. In an effort to complete the album, Sony has invited Kanye West and others on this album. In 2008, Michael Jackson worked with both Akon and Kanye West for his Thriller sequel. This is one reason why they were selected to helm the album. Will.i.Am also worked with Jackson, but he chose to stay out of his latest release. 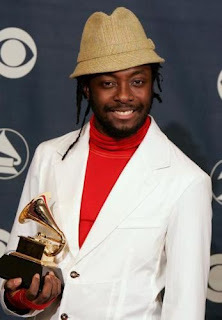 Will.i.Am said the new Michael Jackson album is disrespectufl. He does not feel as though Michael Jackson would have recorded with all of these artists for one album. Outside of that, he does not feel as if Sony is respecting him. Michael Jackson did not give them his permission to release this music before his death and he would probably fight them on it now. Modeling himself after Jackson, Will.i.Am feels as though he was a professionalist and did not stop until a song was complete, he feels it is wrong the way Jackson is being done.